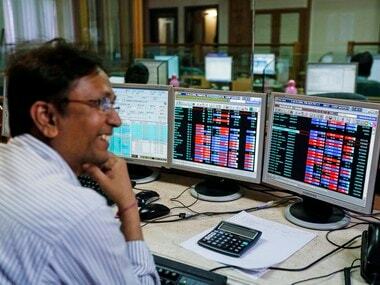 Mumbai: Breaking its three-session losing spree, the BSE benchmark Sensex surged over 373 points on emergence of buying mainly in auto, FMCG and banking stocks as a sustained recovery in rupee and moderate crude oil prices buoyed investor sentiments. Similarly, the NSE Nifty rose nearly 102 points to regain the 10,600 level. Also, the benchmark indices gained tracking positive global cues and improving the macroeconomic scenario. Analysts said that markets likely reacted to the positive backdrop, as well as indications that the NBFC credit squeeze is abating. The Indian rupee appears to have stabilised a bit after recording a string of heavy losses last month. This recovery is driven by a sharp drop in global crude oil prices and improving prospects for the domestic economy. 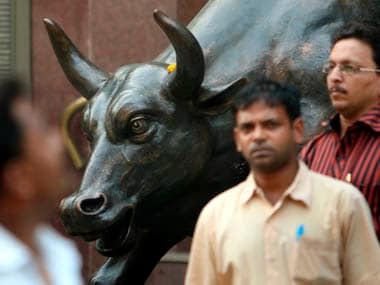 The 30-share Sensex gyrated over 500 points during the session, finally settling 373.06 points, or 1.07 percent, higher at 35,354.08. Similarly, the broader NSE Nifty jumped 101.85 points, or 0.97 percent, to finish at 10,628.60. Banking stocks rallied after the government's announcement of Rs 42,000 crore fund infusion in the state-owned banks by March-end. Market analysts said recapitalisation announcement to PSU banks is likely to provide respite to current liquidity issues, which also boosted the sentiment. 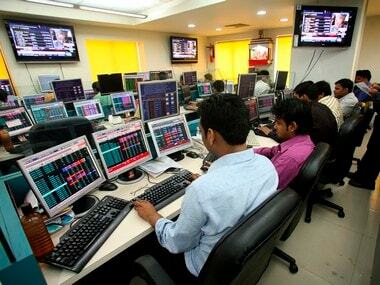 Hero MotoCorp, HUL, Wipro, Asian Paints, Axis Bank, IndusInd Bank, Bajaj Auto, HDFC Bank, ITC, Bharti Airtel, TCS and Maruti led the gains on key indices, rising up to 5.02 percent. While, Yes Bank, ONGC, Sun Pharma, Vedanta, Coal India, Tata Steel and NTPC bucked the positive market trend, falling up to 3.89 percent. 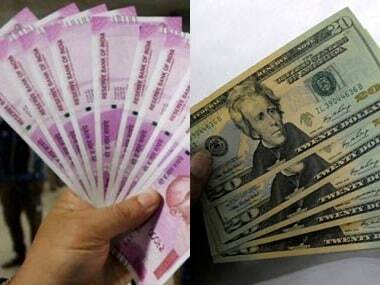 The rupee remained firm near 70.68 against the US dollar, as global crude prices slipped below the $60 per barrel mark. The broader markets, however, took a beating with BSE Smallcap falling 0.15 percent and NSE Midcap ending flat. Elsewhere in Asia, Hong Kong's Hang Seng surged 1.73 percent, Korea's Kospi was up 1.24 percent, and Japan's Nikkei rose 0.76 percent. While, Shanghai Composite Index fell 0.14 percent. European markets too were strong in their late morning deals. Frankfurt's DAX was up 1.18 percent, while Paris CAC 40 rose 1.31 percent. London's FTSE too climbed 0.97 percent.